The ringing of the AHP bell signifies the transformation of a non-performing loan into a performing one. 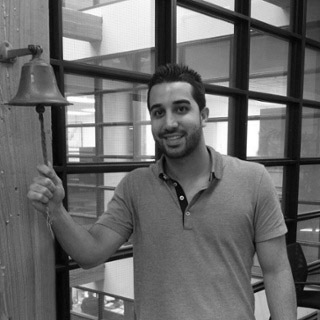 Asset Manager Shawn Tolu rang the bell quite a few times this month as he broke the company’s monthly record in October by completing 14 distressed mortgage resolutions. AHP’s asset managers work with homeowners and real estate agents nationwide to turn non-performing mortgages back into performing ones. Some of Tolu’s resolutions in October included loan modifications for homeowners in Maine, Pennsylvania and Texas. In providing loan modifications, AHP is able to provide borrowers with reduced monthly payments and discounted settlement options. Loan modifications such as these are the outcomes which AHP strives to achieve in order to help families avoid foreclosure. Since 2008, AHP has helped more than 500 homeowners keep their homes. AHP’s mission also includes community stabilization by finding new homeowners for abandoned properties. This month, Tolu was able to find new owners for vacant properties in Georgia, Indiana, Missouri, New York, Ohio and South Carolina. Whether vacated through foreclosure or deed in lieu of foreclosure agreements, empty homes tend to fall into neglect and can create blight in neighborhoods. AHP’s asset managers work with real estate agents who provide on-the-ground support and help find buyers.